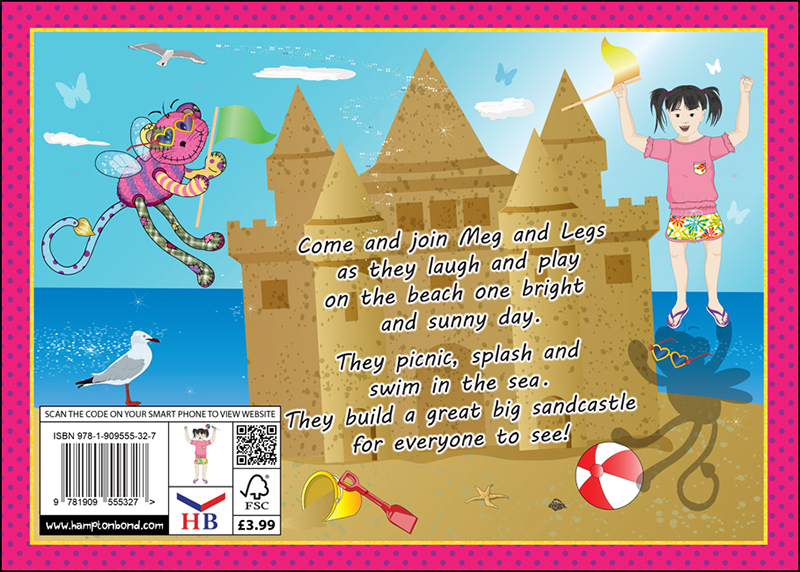 Come and join Meg and Legs as they laugh and play on the beach one bright and sunny day. They picnic, splash and swim in the sea. They build a great big sandcastle for everyone to see! The legendary Nikkie Lees has finally brought us this much awaited ‘next in the series’ book. The original ‘Meg’s Friend Legs’ has been such a huge success that critics did wonder how her next creation would rival against the popularity of her original book. 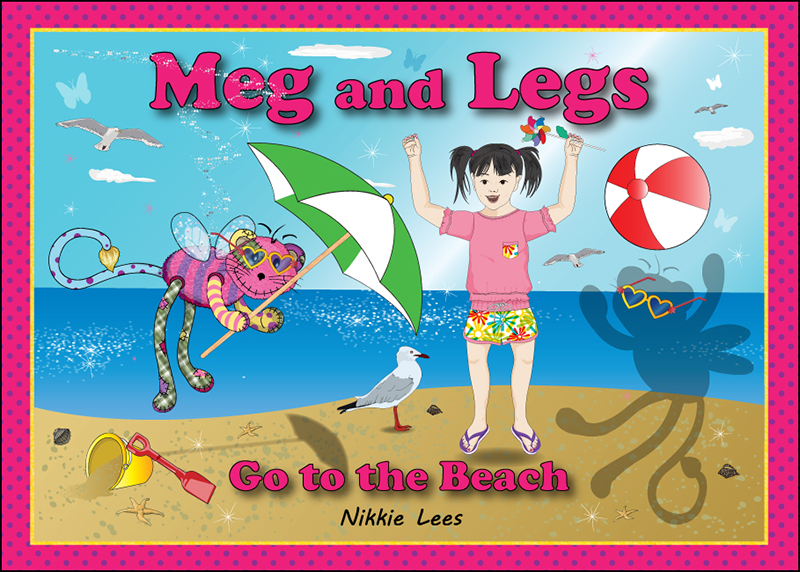 But there is no shadow of a doubt that ‘Meg And Legs Go To The Beach’ provides a highly educational book with inspiring illustrations that captivate every child’s imagination. 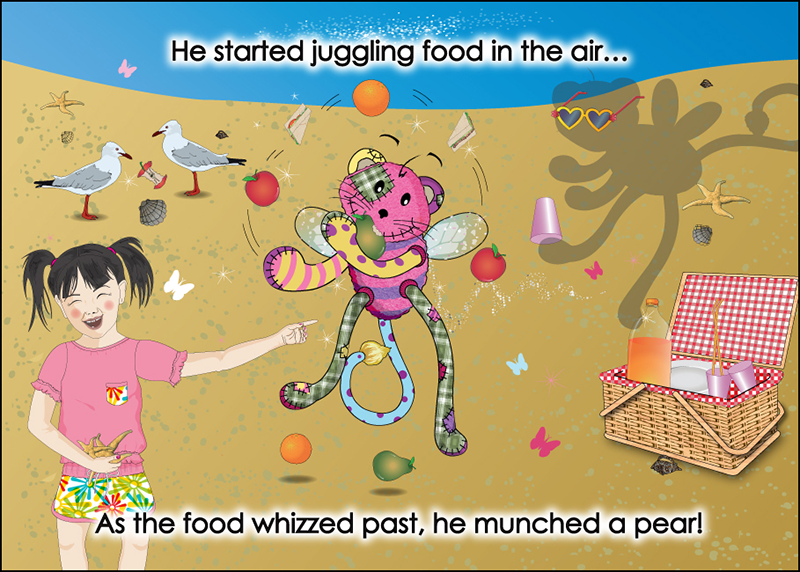 Even parents reading with children are reminded of playful visits to the beach! The character ‘Legs’ has become a household name and this book simply provides the joy, laughter and educational motivation that every child deserves.